a great festival and holiday season. at a new and exciting venue! We'll be back Back in 2017. We have decided to take a break this year so that we can concentrate on making next year’s 2016 Hideaway Music Festival at our new venue something really special. Thank you all so much for your continuing support, we really do appreciate it & are really excited about putting on a fantastic 1 day event next year. We will keep you updated through our website, on Facebook & Twitter about our new venue, dates, bands, acts, bars, food, camping & all the wonderful festival related news in the new year. In the meantime have a fantastic summer of music & fun & we're looking forward to seeing you all in 2016 when we'll be back with a huge bang!! The venue is still to be confirmed and we are close to confirmation - it will be just as impressive than previous years! From all of us on the Hideaway team. Due to huge demand to see our fantastic line up we are totally SOLD OUT of the Early Bird Weekend tickets..but don't miss out on a fantastic weekend of music as we still have plenty of day and weekend tickets priced below the amount you will need to pay on the gate..with Friday and Sunday at £25, Saturday at £45 plus Camping at only £10 per night, and weekend Tickets at the superb value of only £90 including free camping. Hideaway Festival 2014 Trailer from Tame Productions on Vimeo. Just confirmed Dreadzone to headline Hideaway Festival 2014 Dreadzone who were formed by ex Big Audio Dynamite member Greg Roberts, are set to bring Saturday night to a massive climax - Make sure you don't miss it! 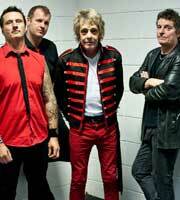 Eddie & the Hot Rods Rock legends, Eddie & the Hot Rods, live on Friday. 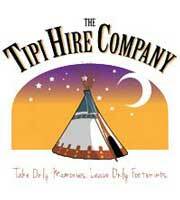 Tipi Hire Company Luxury camping will be available from the Tipi Hire Company. This year’s Hideaway Festival on the weekend of the 8th, 9th and 10th of August, is set within the private grounds of Fawley Hill, one of the most exclusive green field sites in the UK. Situated in the stunning Chiltern Hills, between Henley on Thames and Marlow, this 25 acre venue is quite literally hidden away, a fact that lent itself perfectly to our name – The Hideaway Music Festival. An exclusive estate owned by Sir William McAlpine since 1960, Fawley Hill is the unique vision of someone who is passionate about his hobbies. A full-scale steam railway sweeps past the main house and around the beautiful grounds that are also an impressive animal sanctuary with over 20 different exotic species living happily side by side. Hideaway visitors are well protected mind . . . so although you may see a wallaby, alpaca, llama or emu peering in through the perimeter fence checking out the festival – these fellas are well fed and should not have snacks thrown in their direction. Building on the enormous success of our first year, we are again maintaining our exclusive and intimate experience with eclectic music on two sound stages plus an acoustic tent, ranging from Republica to the vintage sound of Animals & Friends to the explosive groove of Big Country accompanied by many other first class acts of varying genres. There will be several excellent food outlets covering a range of cuisines, including a curry house and open grill BBQs, all washed down by great real ales and a full bar. Kids are welcome, under 12’s are free and there will be attractions and activities to keep them happy all day. There will also be several shopping opportunities with different stalls selling their wares. This is the second year for Hideaway and therefore a great opportunity to be part of the growing experience from the beginning. We have already grown from a one day festival to a three day experience so you can choose any day to suit! 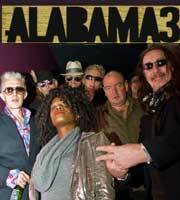 Come along and Hideaway with us!